Art Sessions - Creative Minds - Accessible Art Sessions for Everyone! 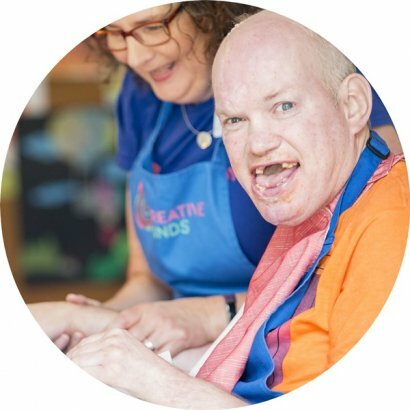 Creative Minds has been delivering fun and therapeutic art sessions to a wide range of clientele for over 6 years and has built a strong reputation for our service, especially in the care sector. Our nationwide community of 40 artists deliver over 350 art sessions to 230 venues reaching over 1600 participants each month. As experienced artists we’re able to deliver a diverse range of sessions exploring the full depth and breadth of visual art, crafts and sculpture and pride ourselves on our high standard of service. Our art sessions enable the participants to explore their creativity, experiment with a wide variety of art mediums and materials and create wonderful works of art. Our sessions have many proven benefits for the participants such as boosting their self-confidence and esteem, they’re therapeutic, stimulating, socially inclusive and improve their dexterity and motor skills. We also reach a wide variety of venues including, residential homes, nursing homes, learning disability services, day centres, complex needs services, supported living and schools to name a few. Rest assured all of our artists are fully trained and have an enhanced DBS check and Public Liability Insurance cover. 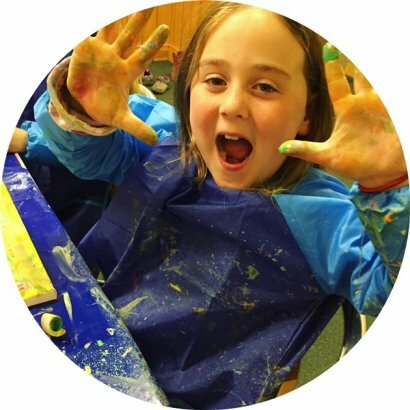 We deliver our art sessions to various types of client, from older people in care homes to children in after-school clubs. There are so many types of people that can benefit from our service and we encourage every artist who join’s us to explore working with different age groups. Older People, particularly those with dementia benefit greatly from our sessions. Our art sessions are the highlight of many care homes activity programs and we often find that they are keen to display the resident’s artwork around the home. People with learning disabilities love our sessions! Their capacity and physical/learning disabilities can mean that some require more support than others, but they are nonetheless proud of their achievements. Our after-school clubs are becoming more and more popular with children between the ages of 5 – 11. They love getting stuck in, experimenting with different mediums and techniques whilst socialising with their friends. We now run sessions with toddlers between the ages of 1 – 3 and have also started delivering ‘art play’ sessions at some of our care home clients. The interactions between the older people and the toddlers are a delight to see. The delivery of large collaborative art projects that result in a large picture, sculpture or installation. For those who are bed bound or that have profound learning and physical disabilities that are not able to attend the sessions. Working in partnership with local primary schools we can deliver engaging intergenerational sessions in care homes. We will help to organise art trips to local art galleries to provide older people or adults in the community with an insight into the art world. 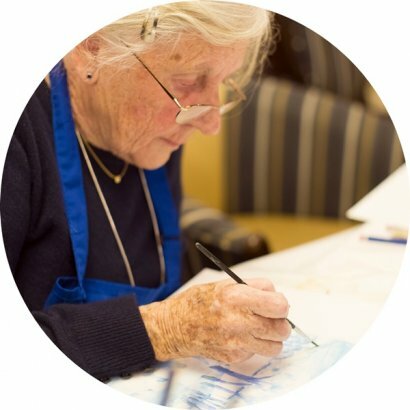 We now have our first Artist in Residence in a care home, enabling the residents to explore their creativity whenever they like! 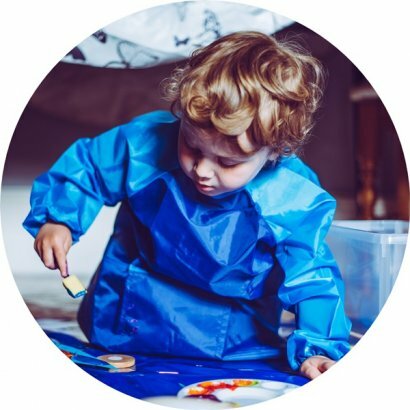 Where toddlers and older people come together to interact and get creative and a little bit messy. As experienced and versatile artists we are able to discuss with you any projects that you may like commissioned such as painting a mural.